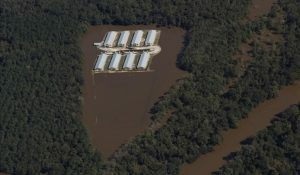 When a hurricane hits, you may find many hog farms under water — except for the barns and lagoons. In some cases, the barn and lagoon are a tiny island of dry land, accessible only by boat. It is by design that the barns and the lagoons are built on the highest point of the farm. This protects pigs from flood waters and protects lagoons from being inundated with water. Lagoons are built up with high berms on each side to provide additional protection from flood waters. 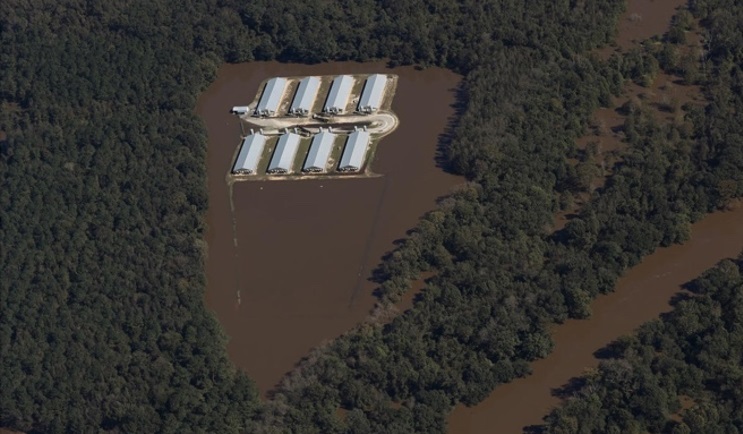 Those unfamiliar with hog farms may not understand the differences between various terms used to describe what happens to hog lagoons during severe rain events. On rare occasions, heavy rainfall may cause a lagoon to reach capacity and overflow. 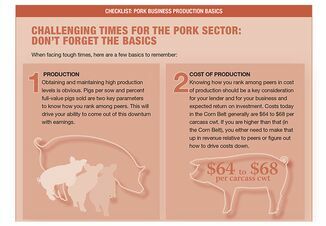 Every hog farm in the state must maintain a minimum buffer of 19 inches to allow for significant rain events. This minimizes the risk of a lagoon overflowing. It is rare for a farm to have only 19 inches of buffer. Many have a capacity far greater at all times, especially as the peak of hurricane season approaches. When heavy rains cause major rivers to overflow, entire communities can be inundated with water. This happened during historic rainfalls with both Hurricane Floyd (1999) and Hurricane Matthew (2016). 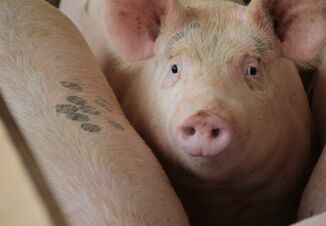 When communities are inundated with flood waters, no business is safe, including hog farms. During Hurricane Matthew, 14 lagoons were inundated with flood waters. When a lagoon is inundated, the walls remain intact, but floodwater rises over the sides and fills the lagoon. 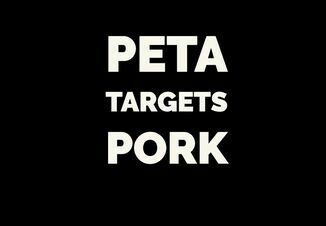 This does not cause a catastrophic environment effect. By design, solids are stored and remain at the bottom of the lagoon, and the liquids at the top are heavily diluted, minimizing the environmental impact. A breach is a structural failure of a hog lagoon — the lagoon walls give way and can no longer hold back the lagoon contents. This is rare. During Hurricane Matthew, one farm experienced a partial lagoon breach, but it had not housed animals for more than five years. Here is an example of a lagoon that is working properly. This photo shows how hog lagoons (identified by the appropriately pinkish tint) successfully withstood the rising flood waters and worked as intended. Notice the outline of the berm that separates the lagoon water from the flood waters. There is no mixing of waters and environmental impact is minimized. Here is a lagoon that has been inundated with flood waters. When a river overflowed during Hurricane Matthew, it flooded, or inundated, this hog farm. The lagoon walls remain intact. Only the top layer of lagoon water is mixing with floodwaters. Solids remain at the bottom, and environmental impact is minimized. 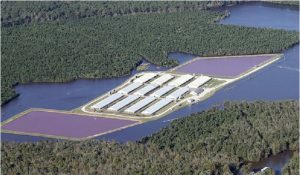 The anaerobic lagoons used on many pig and hog farms in North Carolina are also used by other industries and some municipalities in the state. In the case of farms, the scientific treatment system is purposefully designed to capture and store the manure and water from the barns. The stored effluent is then applied as a natural fertilizer on a green and growing crop at agronomic rates that are regulated and monitored.